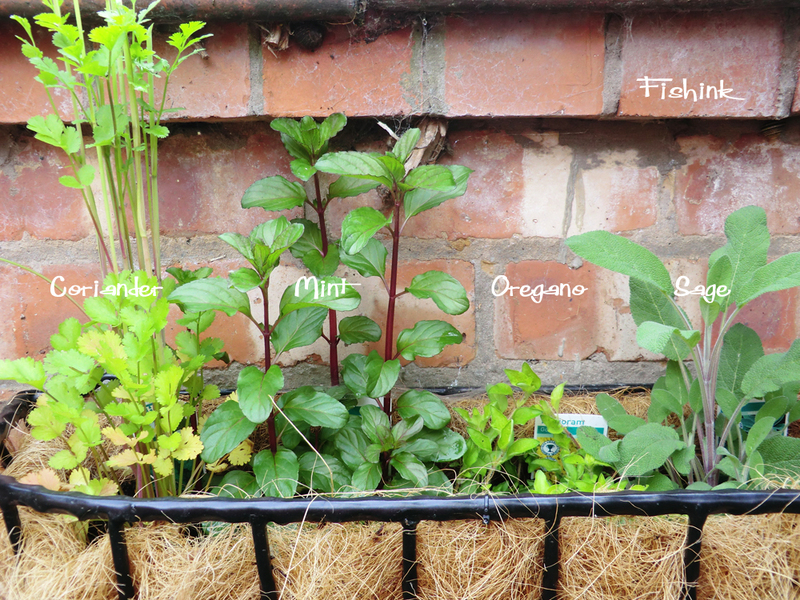 I was glad to see that some of my time spent in the garden this year was finally paying off. 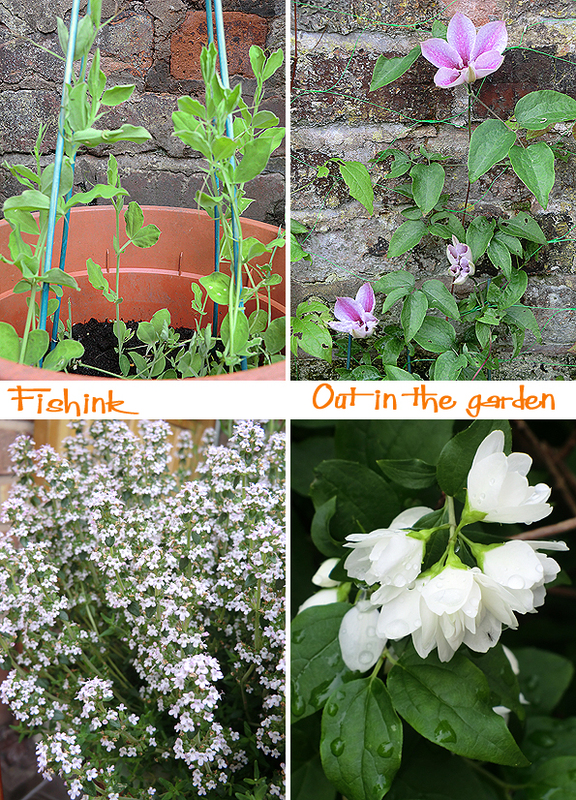 The Sweet Peas I’d grown from seed and the Clematis plants were managing to survive the nightly snail-army manoeuvres and had actually produced some flowers … I was very impressed. I really enjoyed discovering this ladybird tucking herself into these new leaves as an overnight bed. 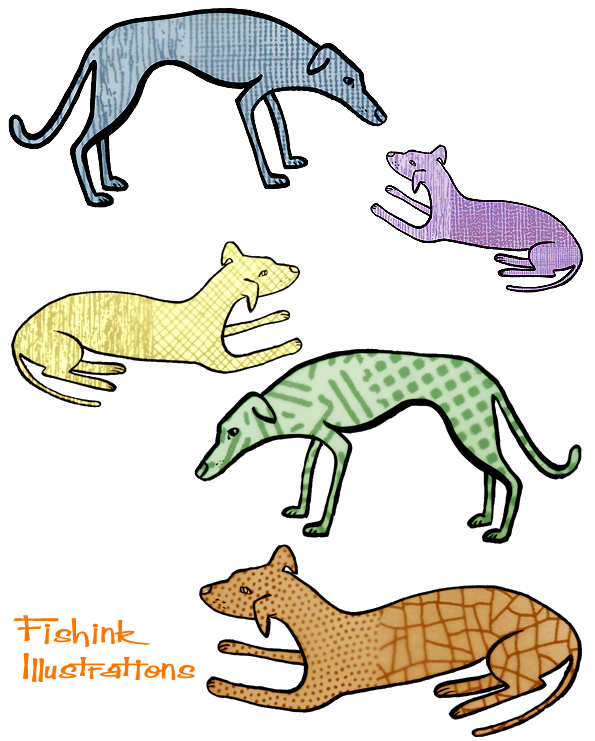 I’ve been playing around with a few loose lurcher drawings and different textures. 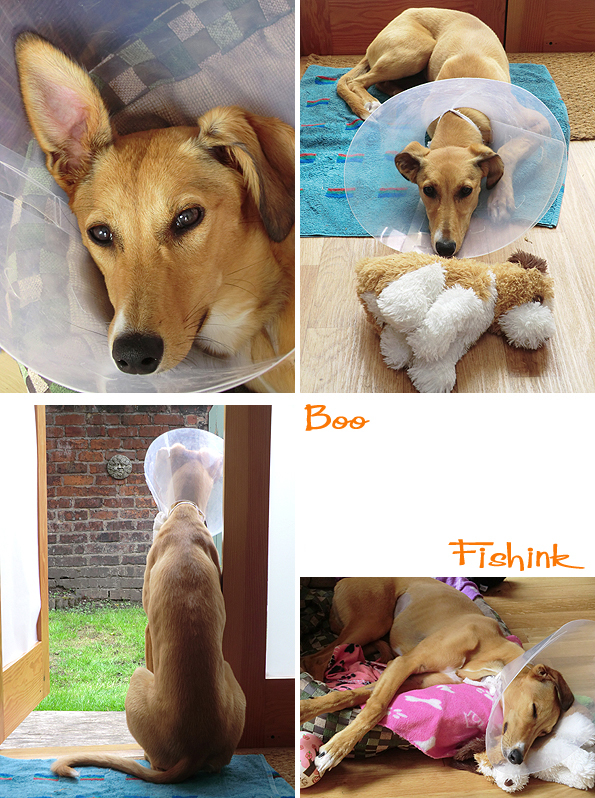 My dog, Boo, had her big op last week and hasn’t been feeling quite herself. Apart from having itchy stitches that she can’t do anything about, she’s had to wear ‘ the cone of shame’ which always seems far too big and makes other dogs stare and bark at her in a slightly wild-eyed and frightened way. She’s longing to get back to her crazy running games with her canine companions. Hey and it seems I got my space dog after all ! 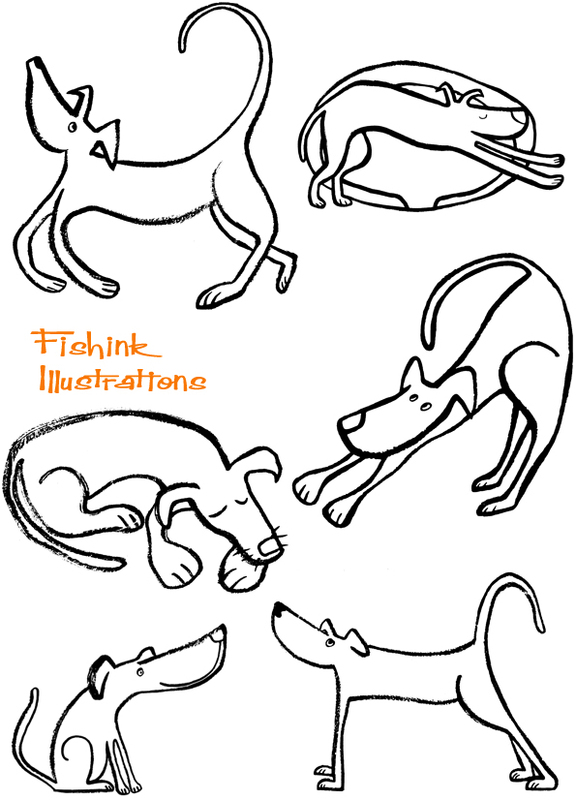 A few more curvy lurchers that I’m sure will appear somewhere soon. 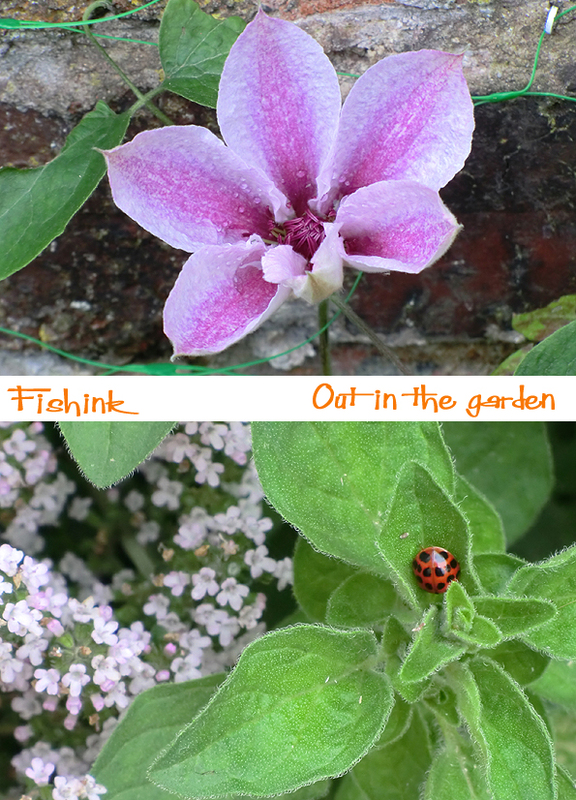 I quite liked the wood effect in the first pic of this post, it matches her colouring too ! What do you think readers ? 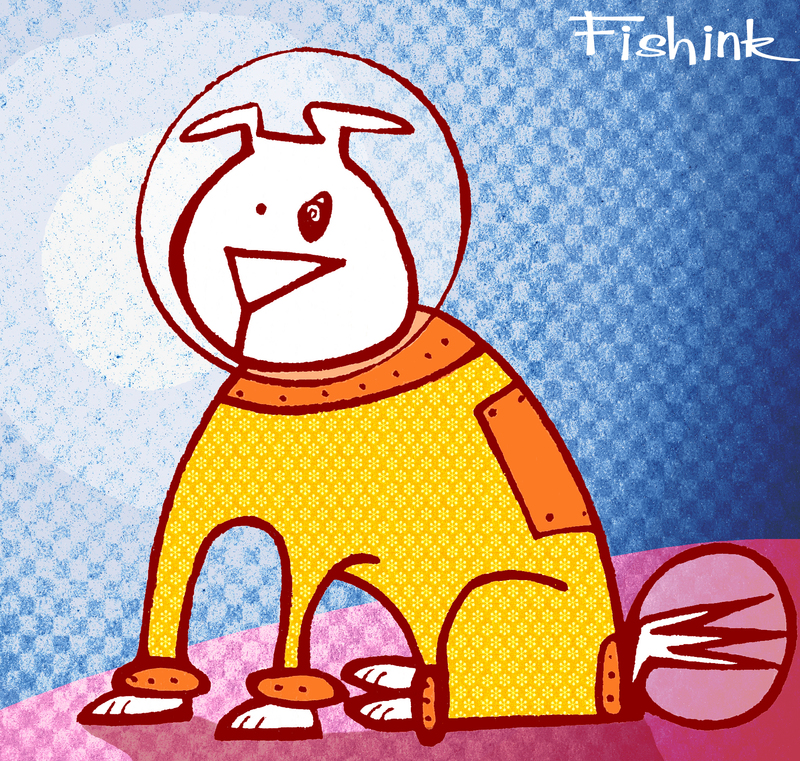 More dog themed artwork and framed prints available over at Fishink here. Liking the Boo-type drawings Craig. Hope all goes well for the lovely Boo. Rita is a smart cat and although Boo tried with both paws to wrestle the cone off, we said ‘no’ obviously sternly enough to dissuade her (which amazed me). Boo wouldn’t have left her stitches alone and that horse toy I made for her the other day, lasted about 5 minutes as the tiny tight stitches proved too much of a treat for sharp doggie teeth : ) Those snails will be coming back as big as squirrels soon, the amounts they’re getting through ! Loving the Lurcher drawings I can see a couple of my own lurky characters in there too! Look forward to seeing more. Hi Elaine. 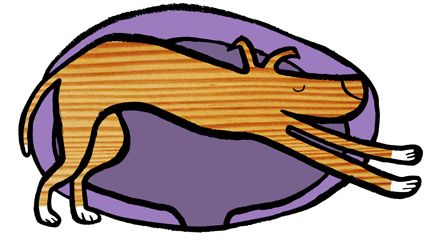 I’m sure there will be be more lurking Lurchers soon, they’re such inspirational characters to draw. Thanks for your comment, hope all is well with you and yours.